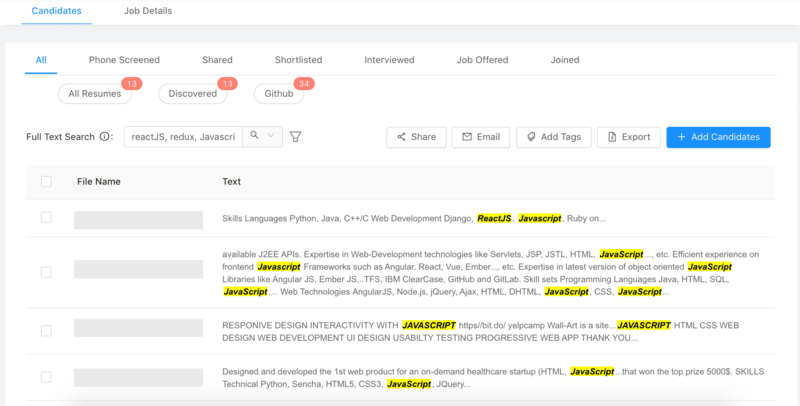 CVViZ uses elasticsearch that helps you find anything in candidate database instantly. You can perform full text search, keyword search, boolean search, location search and much more. CVViZ applicant tracking system helps you search resume database using various keywords. You can search for candidates by searching for skills, name, email ids, phone number, location, etc. Search for anything that may exist in the resume. For example, you can search if candidate has worked for your competitor, job titles, locations, zip codes, etc. 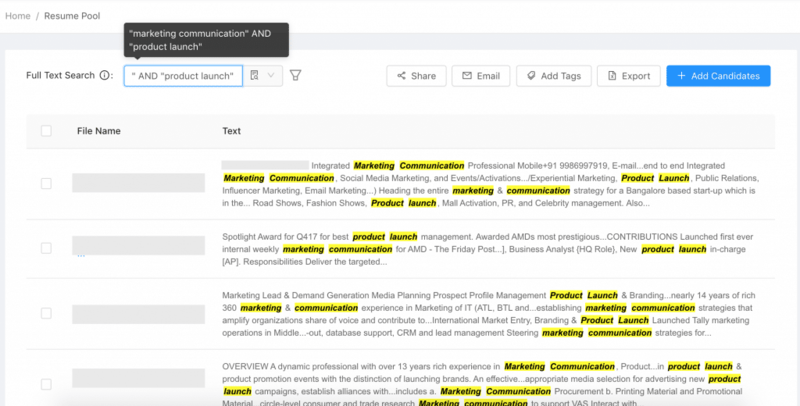 Results will show resumes that contains those keywords with keywords being highlighted. These results are shown in the order of relevance. Elasticsearch throws results instantly. Use boolean operators such as AND, OR, NOT to narrow down your search results. You will get results in the order of relevance. 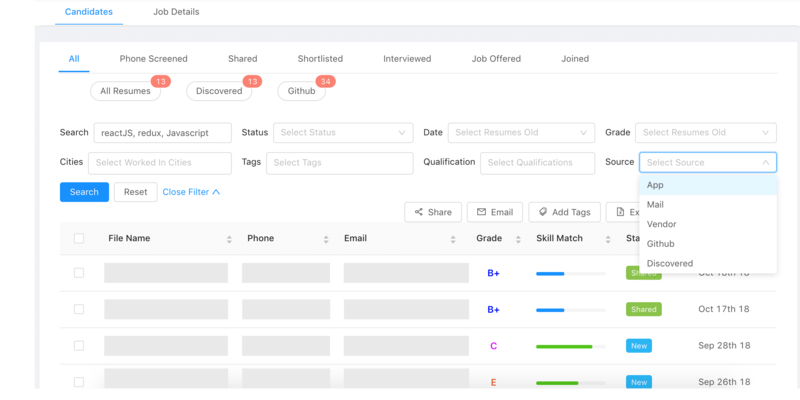 Once you search your candidate database, you can filter search results using various filters such as years of experience, qualification, freshness of the resume, location, etc.